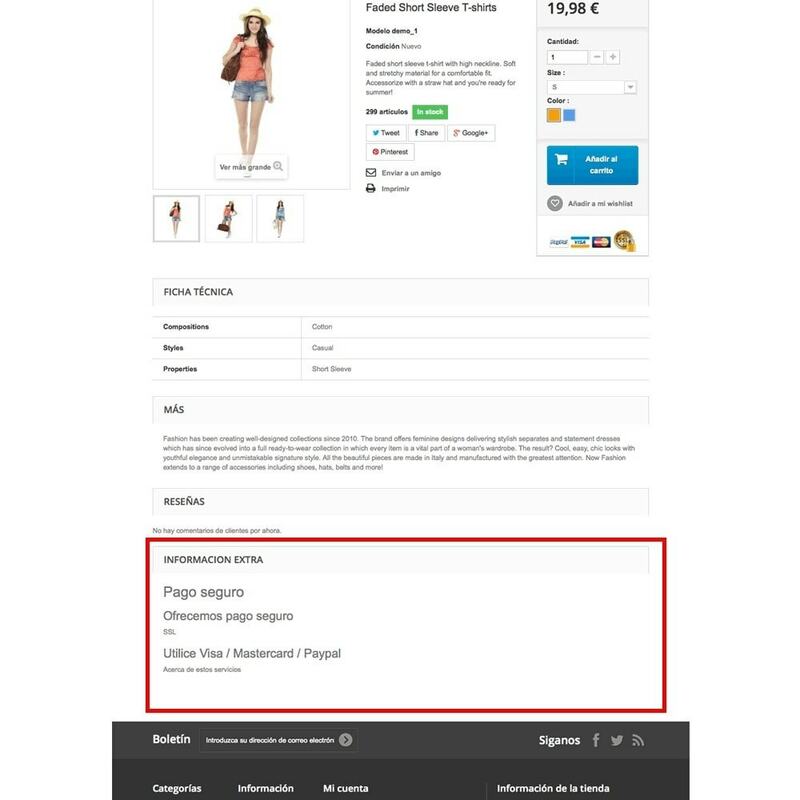 Connect your CMS page to a product page or category on your online store to display key information for your customers. You could display the transportation details or create several special pages with technical information. 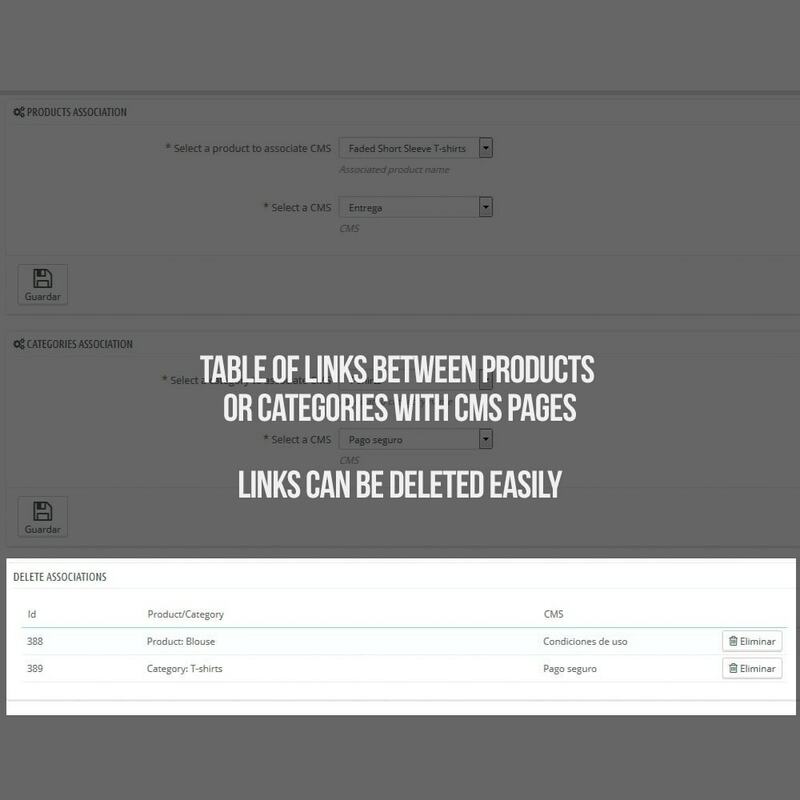 You could also create as many tabs as you need for every single product, just with three clicks for each tab. 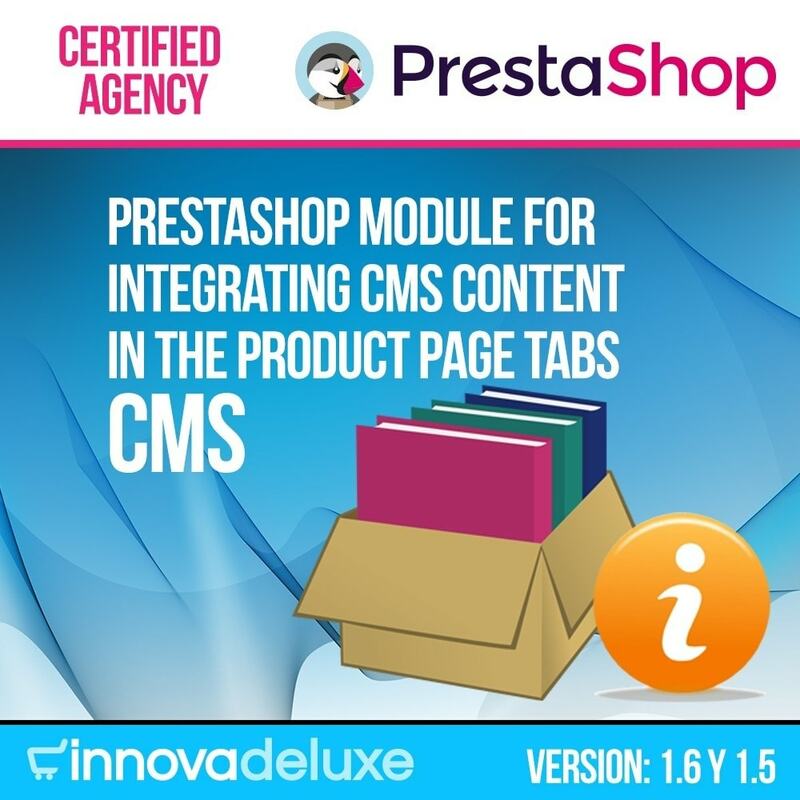 This module works complementing valuable information for each different product and helps you to gain an advantage over your competitors. 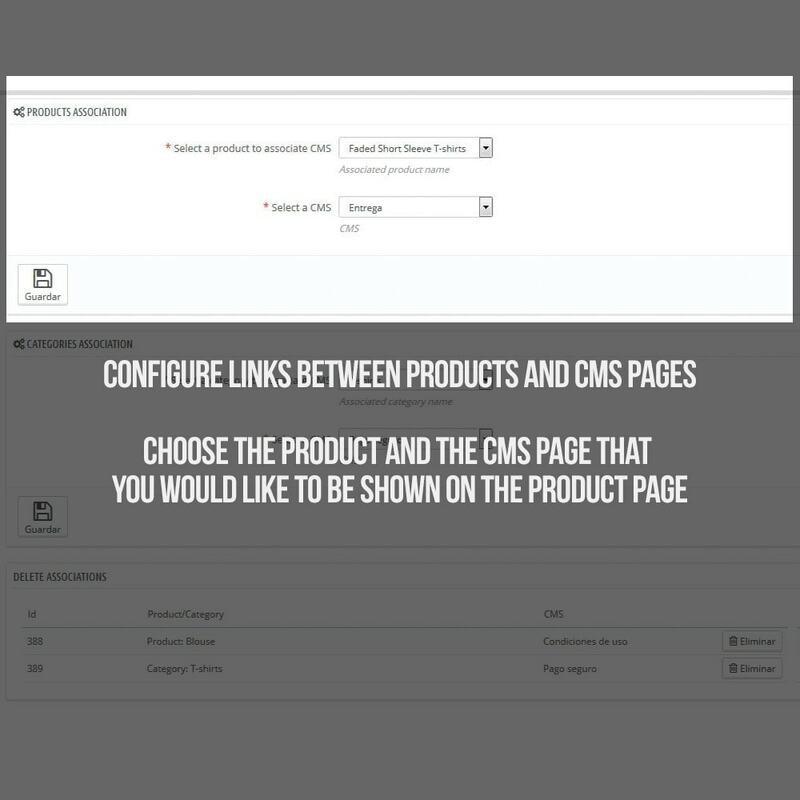 - Customize information tabs of your products with the CMS content of your choice. 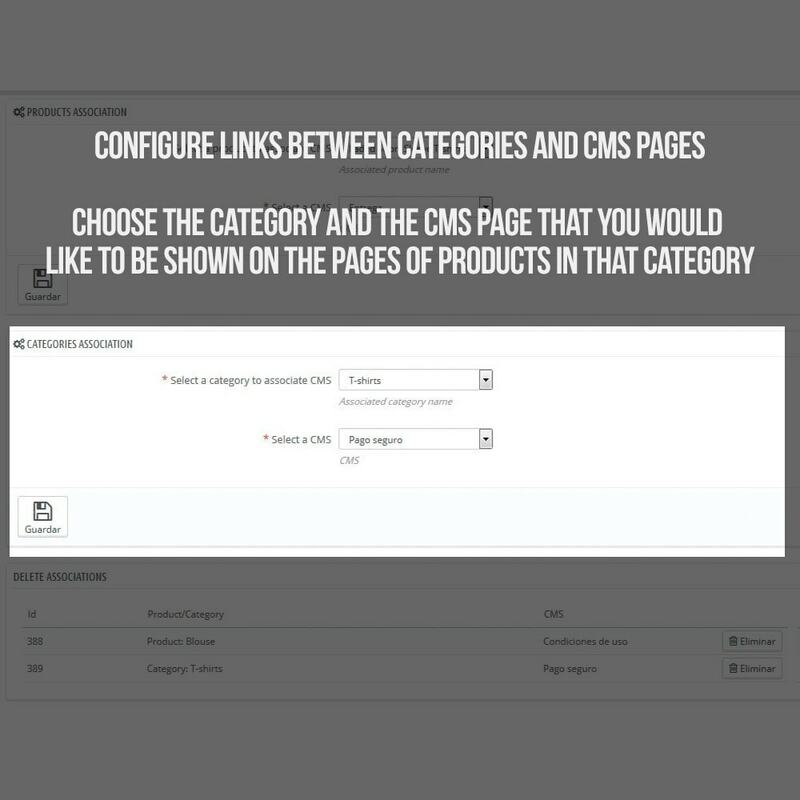 - If you decide to stop sharing information, the CMS module gives you the option to delete the associated content with the control panel that shows you the whole connected information making distinction between product or category and its CMS to identified the content easier. Customers could access to key information from each product that can help their purchase decision.